There are 9 reviews of The Cobra And the Canary. Leather and lemon. Interesting and unusual combination, I will give it that. The lemon is not the bright and fizzy citrus, but more of a subdued one, close to a furniture polish lemon. Leather is soft and isn't that pronounced and as time goes on I definitely get the smell of tobacco and almost damp hay. Definitely an interesting scent and I agree with landshark321 that this is clearly something different than the normal scents out there and at the price point is something worth a go to try. I don't really like the usual, popular leather scents but I like this, so take that into consideration when deciding if this is worth your time. Spiced, buttery opening. The heart is leather dominant but the leather note should be accessible to many and not as polarizing as some other very strong leathers that I've smelled before. There are also nice florals that compliment the leather. Just speaking from my own experience, I don't usually like leather as the main note but this one is nice and I enjoy it. I really enjoy this, as i do most of the imaginary authors line. Once this has settled down, i get quite a strong medicinal/plasters note (in a good way). I get the leather, but wouldnt call this a leather scent. It's not complex, and doesnt go on a real journey. But enjoyable for me none the less. Opens with a fresh and bitter leather; the leather is quite raw and I am surprised on how well it's blended with lemon; this stuff is really nice. Combining a dry but warm hay note with the leather and lemon is surprisingly good and lifts the composition to another level. The hay also brings a mentholated smell and the combination somehow reminds me of septic bandages and hospitals. Within 2 hours, the smell shifts into a new direction; the leather, which seems to be more in the top notes mostly disappears, there are no more traces of menthol or hospitals, but the freshness remains there; it's still citrus and it's paired with a beautiful iris and a sort of a coconut/fig leaf that's milky and creamy. By the 5th hour it shifts again as the freshness is gone and the leather comes back with a motor oil vibe; a weird combination, oily and creamy at the same time. This and A City on Fire are the best Imaginary Authors fragrances for me, both being an unusual combination in a palette of mostly mediocre blended scents. A coarse, unpleasant fume, amatuer in construction. Avoid. A different take on leather. 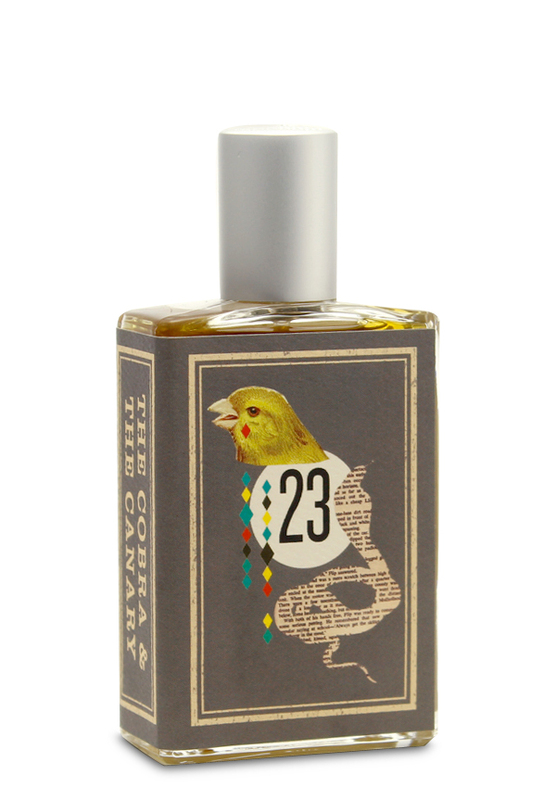 TCAC is a unique fragrance as one might expect from Americana niche designer, Imaginary Authors. The opening is a beeswax like grassy accord that I don't care for at all, but it gradually sweetens and a old leather note appears along with faint tobacco leaves and perhaps a barn like hay in the background. The leather heart notes, sweetened with the tobacco is really pretty nice, but the offensive waxy opening sorta lingers in the background and makes what could've been a unique leather, sour. TCAC has a distinct outdoor feel to it, and might be a good option for someone who works outside, as most of the notes seem natural and maybe even "weathered", if a scent could be such a thing. TCAC slightly reminds me of Tauer's Lonestar Memories and even more of D.S. & Durga's Cowboy Grass. The Americana Niche is more about evoking an atmosphere as much as a scent IMO, and in that regard TCAC is a success. Not withstanding the odd opening, the body of TCAC just isn't my style, but I wouldn't say it's a bad fragrance, so Neutral rating for me. There are no member images of The Cobra And the Canary yet. Why not be the first?